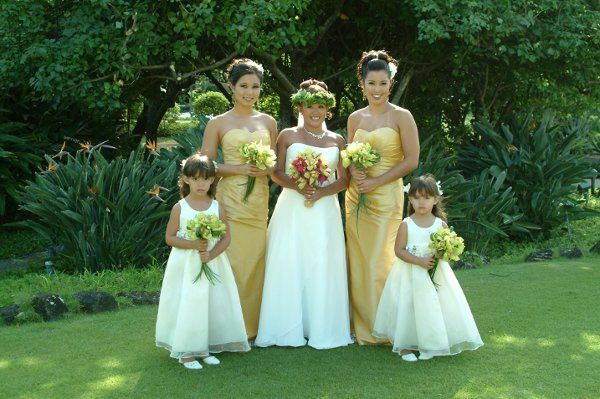 Kauai Aloha Weddings, INC is a wedding planning company in Kapaa, Kauai, Hawaii. With over 27 years of experience, these coordinators know how to make your wedding dreams come true! They pride themselves in offering their clients signature service from start to finish, making the entire planning process seamless. 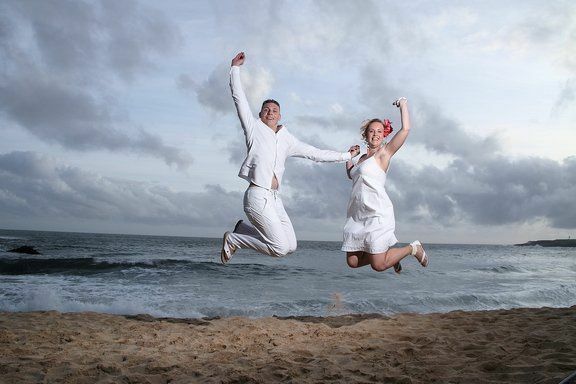 They work exclusively with Kauai's premier wedding professionals to give couples what they want at an affordable price. The planners will handle every detail to ensure that your entire wedding experience is joyful and stress-free! 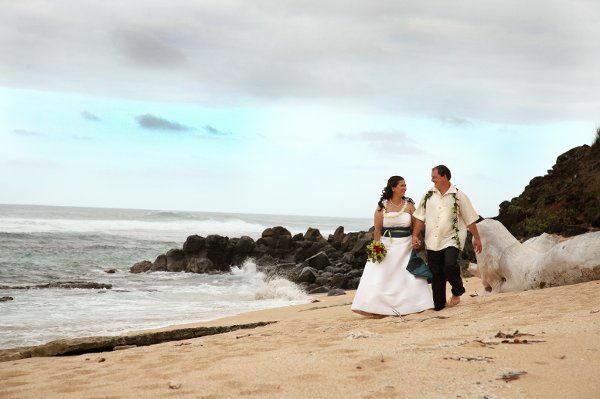 Kauai Aloha Weddings, INC offers full planning, partial planning and day-of coordination. 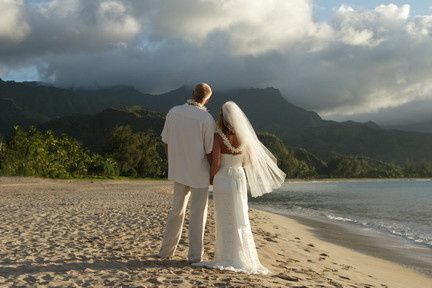 They offer Kauai beach weddings, Kauai waterfall weddings, Fern Grotto weddings, Historic Church weddings or Custom weddings. 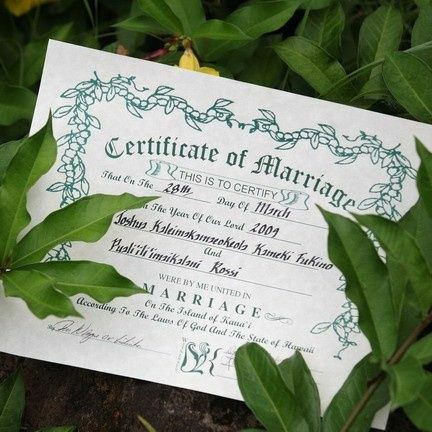 They will also help you obtain a State of Hawaii marriage license, as well as offer rehearsal dinner coordination. Our Wedding was planned for April 2018 at the height of an unprecedented month of rain and flooding in Hanalei Bay. We didn't know what we were going to do. Haunani had already been proving herself to be knowledgeable, organized, and professional throughout the year we worked with her, however her abilities were tested with almost insurmountable challenges that she had to continually deal with, right up to our wedding day. She did a remarkable job, and her husband, Mark, was an invaluable addition to her team. 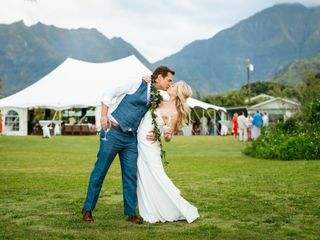 On the day of our wedding, it was hard to believe that Kauai Aloha Weddings had been able to coordinate our perfect wedding day! The following day we planned a picnic brunch which Haunani also managed. Sunday was wonderful as well, and the perfect ending to a very special wedding weekend. To give you a better timeline of the trifecta occurring in the Hawaiian Islands during this time, guests who arrived for their own mini-vacation, before heading home, were greeted with the eruption of Kilauea, and subsequent earthquakes on the big island of Hawaii. Thank you Haunani for all your hard work, and the added hours we know you had to put in to make our dream come true. Mahalo nui loa for your review! 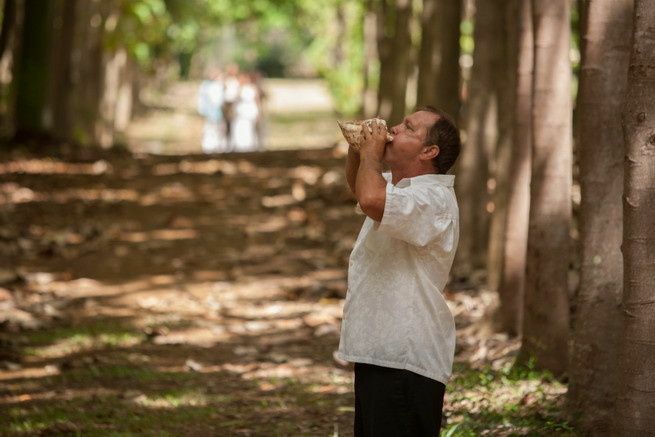 I must say that my professional abilities were very much tested that week leading up to your wedding ceremony and reception for 75 guests after the extensive flooding on the north-shore of Kauai. 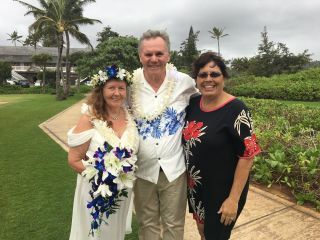 Mahalo to Ke Akua, Pastor Glen Frazier, Lees Rentals (Binky & Glenn), my personal staff, and vendors for providing a dream wedding for Bryn and Tom on Hanalei Bay, Kauai. Congratulations & Best Wishes to you both! Haunani at Kauai Aloha Weddings did a wonderful job planning our wedding. She’s knows what she is doing and uses great vendors. We did not have to worry about anything. Our day could not have been more perfect! My wife Kandis and I had thought about many settings for our wedding and we are so happy that we chose Kauai Aloha Weddings for the service. Haunani coordinated the whole event down to the smallest detail and everything was perfect! The photographer Ralph and videographer Dorrian were really great to work with and the Pastor Marde Marcos was the best! We felt like we were sharing an afternoon with good friends! We can't say enough about how happy we were with our wedding day! Thank you again, Haunani! Mark and Haunani are the real deal. Gentle, easy to work with, they have the true aloha spirit. 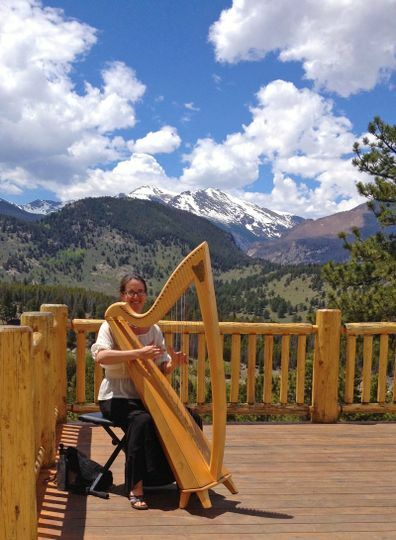 Not to mention unusually talented musicians.